If there is one group all members of entertainment should learn not to trifle with, it is the comic book fan with online access. 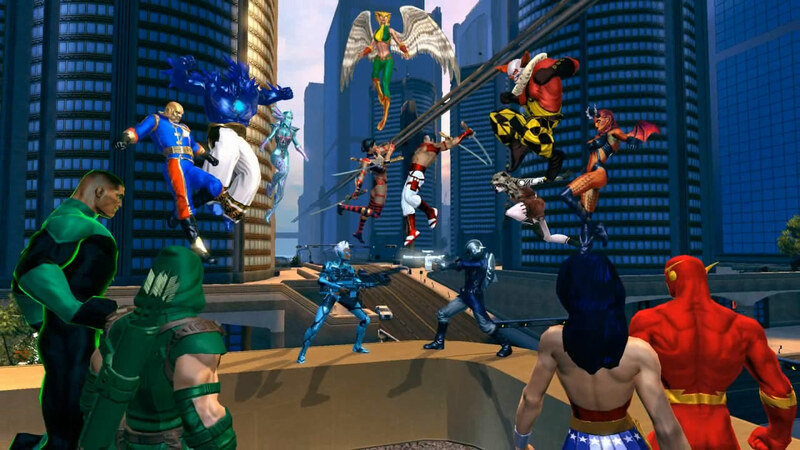 Sony Online Entertainment tempted fate when they originally announced they delay of the MMORPG DC Universe Online from November 15 until sometime in 2011, and if you had listened closely, you could almost hear the internets groan in protest. Thankfully though the delay has proven to be a minor one. While the game won’t make it out in time for the holidays, it will follow shortly after on Januray 11. If you are a comic book fan and have not yet seen the details on the game set in the DC universe, then shame on you. Please head to your local comics store and explain your omission so the other patrons can rip into you mercilessly. For everyone else wondering what the game is all about, you create a character from scratch that is either a villain or a hero. Through a lengthy creation process, you tailor the look of the character to your standards, and more importantly you choose what their powers and abilities are. Once your character has been created, they will align with the heroes or villains that most closely match your abilities. As you progress through the game, you will earn upgrades as you work your way towards being endorsed by the representative DC character. If you choose Batman, you will eventually wear a bat-symbol. If you choose the Lex Luthor, you will end up wearing his style of armor. Check out the trailer for a closer look at the game. DC Universe Online will charge a monthly subscription fee, so have your account information ready when you suit on the PC or PS3 (although the two systems will not cross) on January 11.